Remote assistance keeping your loved ones close. GoLiveAssist enables you to sustain close relationships with the people you care about and keep them fully involved in your life – no matter how far away they are! This service gives the people that care about you online access to the information gathered by your GoLiveClip - as well as the ability to assist you in your everyday life. Of course: the amount of information they can access remains entirely up to you. GoLiveAssist works on any smartphone, tablet, laptop or PC – as long as it’s connected to the Internet. With your permission, selected contacts can (remotely) look over your shoulder at the measurements of your GoLiveClip, and thus gain useful insights into your daily life. In addition, they receive alarm notifications in case of an incident. You enjoy the comfortable assurance that someone is always watching over you. Your loved ones gain permanent access to information about your well-being. Peace of mind for everyone: GoLiveAssist. The GoLiveClip collaborates seamlessly with the GoLivePhone app: this is the application which controls your clip’s settings. If you wish, you can give one or more contacts permission to adding a new feature, setting a reminder for an appointment for example or amending settings for the CLIP. Your contacts can remotely assist you in pretty much anything you use the GoLiveClip and GoLivePhone app for! You can choose up to 3 people close to you, as contacts in the GoLivePhone app to receive your alarms and give them permission to access your information if you wish. From then on you’ll be able to manage the GoLivePhone app together – keeping all information up-to-date and making sure not one part of your well-being is overlooked. The information gathered by the GoLiveClip contains detectable trends. For instance: your movements have changed, or the amount of steps you make on an average day is slowly decreasing. 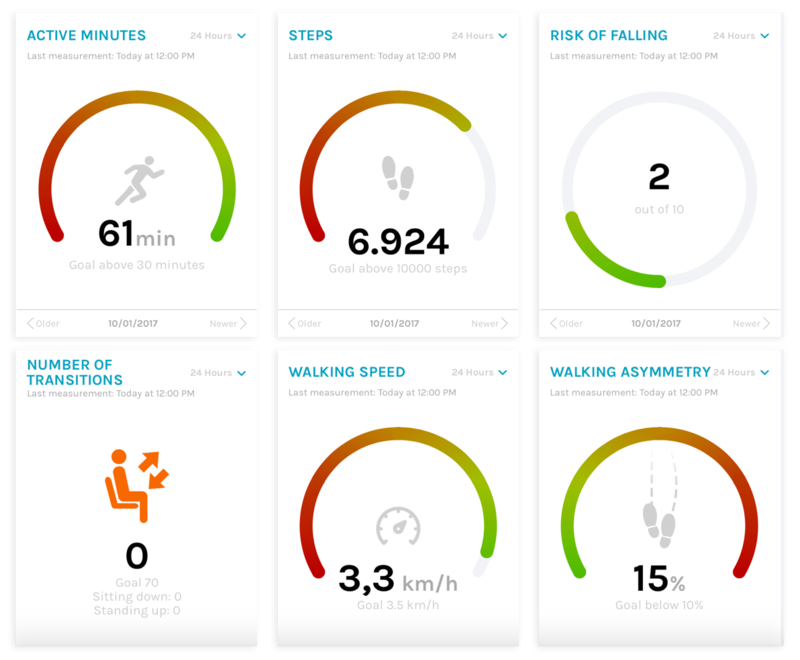 GoLiveAssist analyses and visualises these trends; alerting your loved ones before things can get serious. This lowers your risks and enables you to prevent incidents through the practice of personalised exercises designed to improve your strength or mobility. 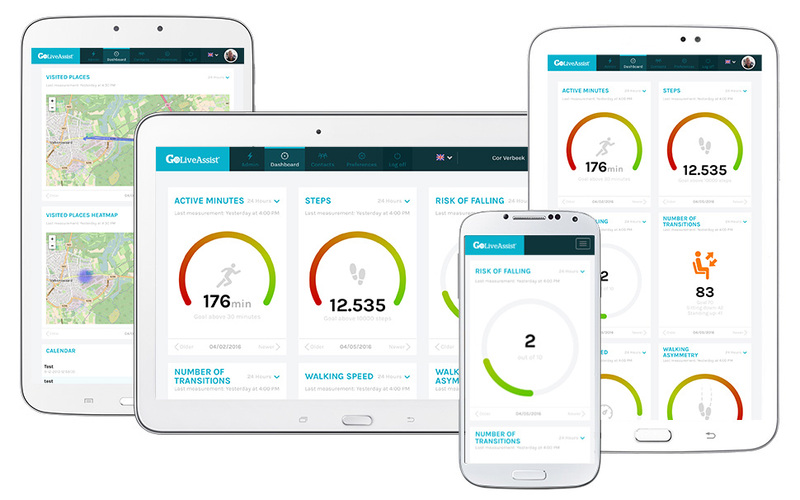 For that purpose we have developed our GoLiveHealth application. You can find GoLiveAssist in the Google Play or App Store and download it for free. Peace of mind for everyone: GoLiveAssist.